It was a journey with a lot ups and downs, but I hit the next Milestone as a Windows Phone Developer: 50,000 downloads across all my apps! You might wonder why I am so happy about that. That’s very easy. I cover very special topics with my apps. For example, I made an app that helps parents to learn the tying of shoe laces with their kids. A very special app, but one that has also some serious background: there are more kids in the age of 2-6 years that are able to use a smartphone than kids that know how to tie their shoes. That was the reason for the app. Another example is my very first app I ever wrote. After acquiring my fishing license back in 2011, I needed a Fishing Knots app (they are hard to remember as newbie). There was none. As I didn’t even thought about switching to one of the other OS that has such an app, I decided to write it by myself. With literally zero knowledge of programming. That was the beginning of my developer story. To celebrate my personal milestone, I am making TweeCoMinder free during the Weekend! Don’t wait, head over to the Windows Phone Store an download the app for free! If you still see the app as paid, it may take some time until the price change is visible for all. 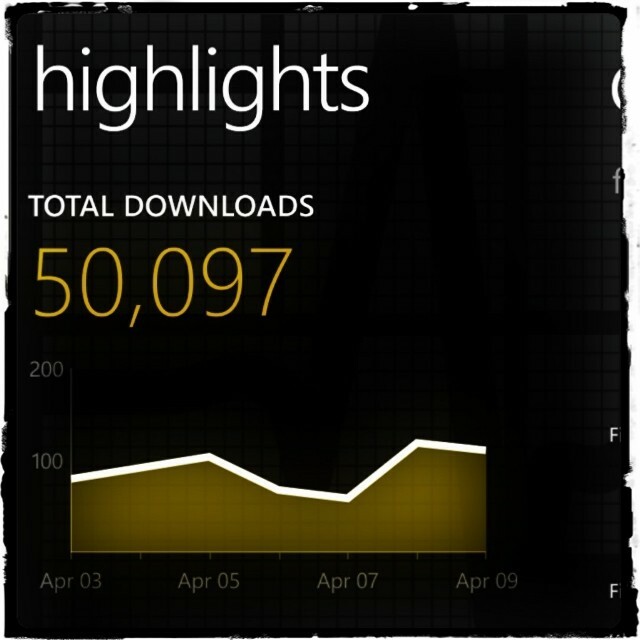 Thanks for 50,000 downloads, and also thanks to my family and all others that supported me over the years.